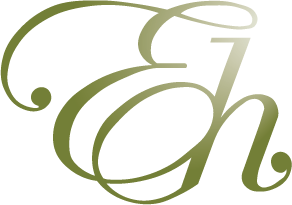 To access the best price and check availability, please contact Ennislare House directly on +44 28 9127 0858. If steps/stairs are an issue for you please note that this is a historic building so there are no lifts or elevators. With a bright and contemporary feel all of these rooms are decorated in soft, neutral colours. Although small in size they facilitate all the needs of a lone traveler. As our Single Rooms vary in size please ask for further details when booking directly with the reception. 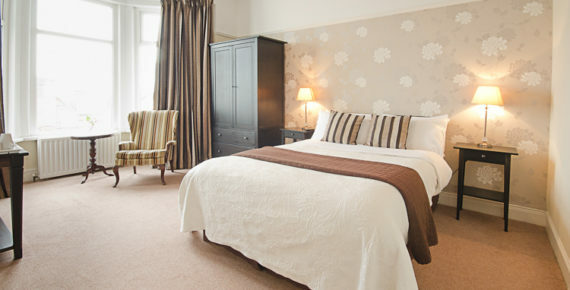 Enjoy a newly refurbished Twin Bed Guest Room and spacious ensuite bathrooms at Ennislare House. 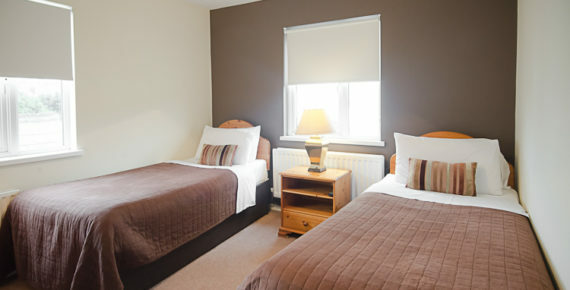 With 2 twin rooms available, these offer a perfect accommodation option for those traveling to Bangor in pairs. Available in twin double bed configurations, these rooms are ideal for business, leisure or family travellers needing a convenient, stylish and comfortable hotel in the heart of Bangor CBD. At Ennislare House we have 2 Double Rooms available. These rooms are spacious with plenty of wardrobe space and perfect for the travelling couple. 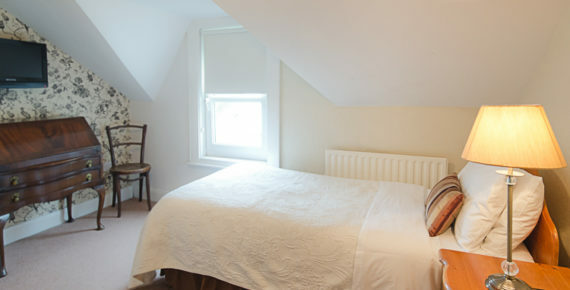 We also have a Superior Double Room available. The superior double room has a sea view and a view of the Marina. Please contact us directly for the best possible price and availability. 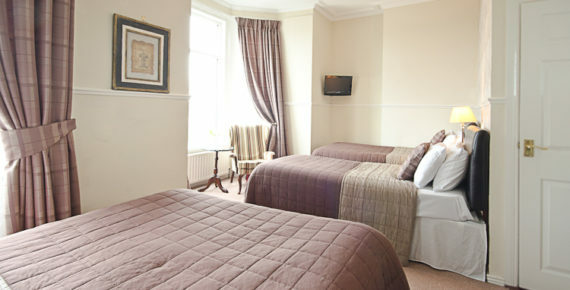 With a sea view our Family rooms offer both comfort and a relaxing environment. One room offers a double and two singles and the other offers a double and one single with an addition of a bath in the ensuite. At Ennislare House, all of our beds offer soft cotton sheets and luxurious duvets.